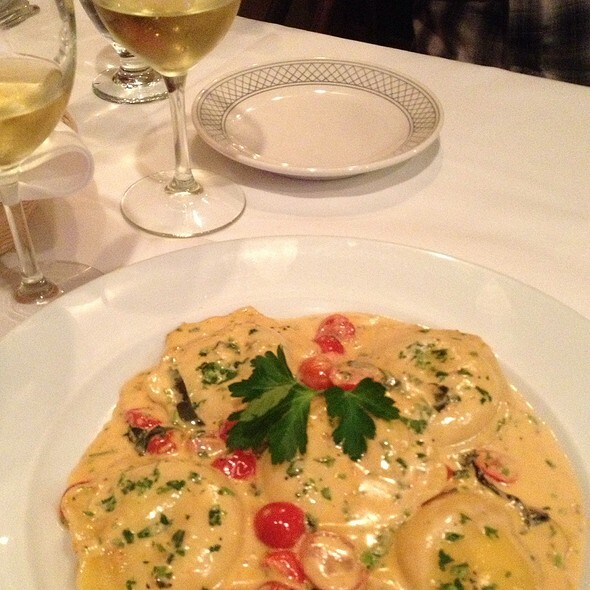 You must make reservations at least 5 minutes in advance of the time at Ristorante Paradiso. Chef Owner, Fabrizio Loi is from the village of Triei on the island of Sardinia, Italy. In 1978, Fabrizio was accepted to Italy’s national culinary college, the Instituto Professionale Alberghiero, where he completed an intensive three year certification program in all aspects of restaurant management and operations, graduating with honors in 1980. Here in America he has created his special versions of traditional Italian recipes for your dining pleasure. We had a birthday dinner for our son who is visiting from NZ. Excellent food, impeccable and friendly service as usual. It's our favorite restaurant! Jesus is a fantastic waiter! Our food was excellent. The piccata halibut was cooked to perfection. Some of the best Italian food I’ve had in years. Especially for restaurant week, the menus was superb. Definitely a hidden gem. Four of us enjoyed a dinner at Paradiso on April 7th, 2019. Three of us use the fixed price menu (Seattle Restaurant Week) and 1 guest had lasagna. All the main dishes (2 of the Tutto del Mare, one with tomato sauce and one with wine sauce; 1 of the Polenta with Lamb Ragu, 1 lasagna) were excellent. The salads (beet salads) were average, nothing to write home about (beets were hard, not that well presented or that tasty). Desserts were very nice, too. We all would recommend the restaurant and plan to go back! My wife and I was very much satisfied from appetizers to desserts. This restaurant is actually outstanding. Servers were very smart and we felt very comfortable. Delicious meal; Nice servers, marginal house chianti. Have been going there for several years & the food is always delish. We love this restaurant! It’s my favorite Italian restaurant. Device is always good and food is pretty terrific! We had dinner with friends before a concert at KPC for St Pat's Day. What a lovely dinner we all had. Halibut, swordfish, cannanoli and chicken saltimbocca. All of it was great. Place was very busy and it seemed the staff was a bit surprised by that but they came through. All in all a loverly evening. Absolutely wonderful food and service! The Italian fare is authentically Italian as is the atmosphere. It was great, per usual. 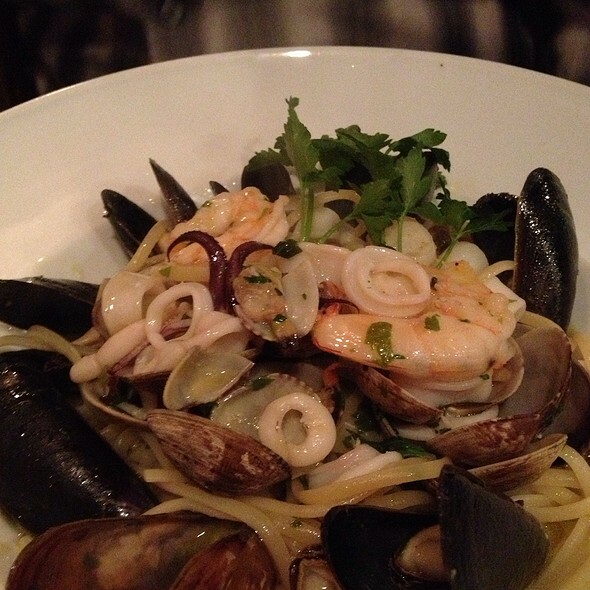 The food was excellent, the service outstanding, and we had a great time. Looking forward to the next time! We had a lovely meal and enjoyed the menu selections and the authenticity of the dishes. Simply put, this place is outstanding in terms of service, food, ambience and value. We have dined here many times and have never been disappointed in the slightest. There is a reason you need a reservation! Three good friends having a lunch, celebrating a birthday. Meal was delicious. Service was impeccable. Will definitely return to taste the dinner selections. Food was excellent, staff were great and I will definitely back. Delicious meal and first class service. Paradiso is always a pleasure. Very nice local (Kirkland) Italian restaurant. This is not a cafe. Its a moderately upscale ambiance with white linen table cloths. Its small and gets very noisy when full. And it was jam packed. The food is absolutely outstanding! I had the lamb shank special and it was a 10! I thought the pasta could be a small add to the entree rather than a sub. The waitress did not give us the specials. My husband orders the veal scallopini and sub veg&potatoes for pasta with red sauce....the put the veal over the pasta.. that does not go well mixed. The pasta should have been put on the side since it’s different sauces. I expected more, and better flavors. The sauces were not tasty they were average. Service could have been better. Waited 45 minutes even with a reservation and service at the table was on the slow side. Food was excellent though. Very understaffed for V Day and food was not on par with their regular menu. we went for Valentines day. We had a reservation but still had to wait 1/2 for a table so they probably could have done better on the reservation times but it was Vday so I guess it is fair to expect to wait. Food was as Italian should be, simple high quality ingredients that highlight the food rather than covering it in spices or sauces. Perfect Valentine's Day night out! Thank you so much! We had a great time. Disappointing Valentine's dinner. They either over reserved or there was something going on with the kitchen. When I make a reservation I expect my table will be ready then or maybe wait 5 minutes. We waited 30 minutes and they almost se as tes someone with a reservation after us. The whole experience felt rushed and not at all romantic. No good cream sauces on the menu. Hoping this is just a blip..I usually love this place. We had a wonderful dinner with friends on Valentine's Day. As usual, everything was outstanding. We have decided to make this a tradition. Ristorante Paradiso is my favorite place! We were seated promptly and received good service throughout our meal. The restaurant is fairly small with lots of tables fit into a tight space. Add to that a holiday and people waiting for tables. It was crowded and somewhat noisy. However, the food was excellent and we were happy with our meals. 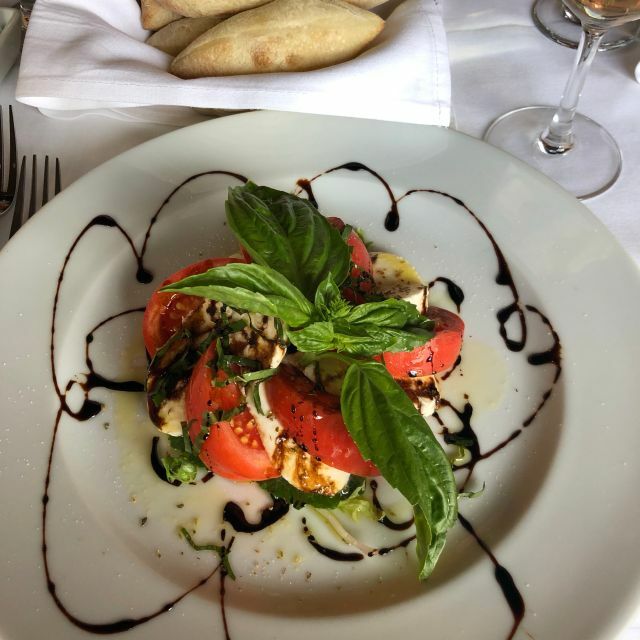 We absolutely love Ristorante Paradiso! We have been coming for over 10 years now and it never disappoints. The food and the staff is above and beyond. You will not be disappointed! My pollo limone was outstanding. The sauce can be easily used for fish as well. My lunch company's veal had great flavor according to him. Looking forward to the next visit. Weenjoyed our dinner, however it was so busy that the service was slower than on previous visits. I would recommend it for 4 our less people since the noise level made it hard to talk across a table of six. I had my birthday dinner there. We had a party of 6. Food and service was great! Good selection on the menu. Free birthday dessert for me. I definitely recommend it. Service was incredibly good! The food was delicious. We’re going back for lunch this week! Lovely entrees of swordfish, lamb ragu, and lasagne were had by our party of three. My mom raved about the swordfish special. Shared a nice tiramisu dessert with candle for her birthday. House wines were delicious. Neighborhood favorite with great food, good service, and consistent quality. Highly recommend. Menu has many Italian staples, all well prepared and fresh. Make sure you ask them about their daily specials, too.